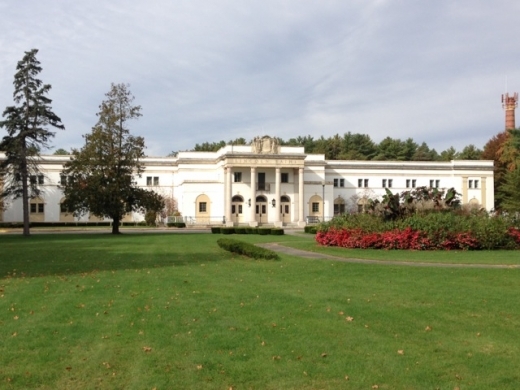 Come explore at Saratoga Spa State Park! DUCK AND LAMB: Elihu Farm kicks off the Winter Market with a cooler full of fresh duck. They'll also have a special on very small lamb shanks, $5.00/lb as well as large mutton shanks, $5.00/lb. (Pick up their recipe for osso bucco.) For stock or for small dogs, they have bags of lamb bones. CRACKERS: Try Saratoga Cracker's newest wheat-free flavor: Tater Crackers, an amazing cracker made with potato flour. All the homemade crackers are free of preservatives, additives, soy, trans fats, anything artificial. Stop by for a sample. ABSENT: Anna Mae's Jams and The Chocolate Spoon will return to the market on Saturday, November 9. New Location: The Lincoln Baths building is located at 65 South Broadway, near the park's main entrance on Route 9. You can enter the driveways/parking lots from South Broadway/Route 9 or from Avenue of the Pines. There is plenty of parking in lots surrounding the handicap-accessible building. Once inside, there are staircases as well as an elevator to get to the second floor. Photo Contest: To celebrate the new location, we invite you to take photos and enter them in the contest by November 17th. Images should capture both an element of the new location (building, architectural detail, park element) and something of the market. 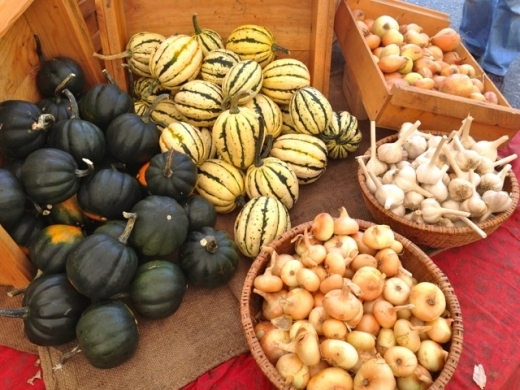 Complete details are here or pick up a handout at the market this weekend. Giveaway Drawings: Enter to win market merchandise on both the main floor and the upper level. Entry boxes will be towards the back of each floor. Winners will be notified after the market closes, and can pick up prizes next week or thereafter. Music: Running the River is a 4-piece acoustic band consisting of guitar, bass, fiddle and mandolin, who play an eclectic brand of music influenced by the Beatles, Bob Dylan, the Rolling Stones and Grateful Dead to the Kingston Trio, Hank Williams, Muddy Waters and Johnny Cash. They perform regularly to enthusiastic audiences throughout the Capital District, the Lake George region and beyond. Pears, apples; many types of greens including head and leaf lettuces, micro-greens, escarole, Swiss chard, collards, kale, spinach, arugula, bok choi; assorted fresh herbs; beans, beets, broccoli, broccoli raab, cabbage (red and green, Napa, Savoy), Brussels sprouts, carrots, cauliflower, celeriac, cucumbers, eggplant, fennel, garlic, kohlrabi, leeks, shiitake and oyster mushrooms (Saturdays only), peppers (sweet and hot), potatoes, pumpkins, radishes, rutabaga, salad turnips, onions, scallions, sweet potatoes, tomatillos, tomatoes, winter squash (buttercup, butternut, delicata, acorn, hubbard). Congratulations to Linda Whittle, who was last weekend's winner of the large white pumpkin at Fall Festival. Linda correctly guessed 57 pounds as the pumpkin's weight. Take home some Saratoga Peanut Butter and some fresh apples from the market and try out this recipe. All of our most recent recipes are on our website. Putnam Market if offering these birds from Misty Knoll Farm in Vermont. Get your order in by November 20th. Click here for the latest newsletter from Putnam Market which includes some information about their Thanksgiving offerings, and here for their Turkey Day menu. Healthy Living is not cheap, but its products are certainly top-notch, ad if you can get past the sticker shockw it's a fun place to shop. Here is their latest newsletter entitled SPAC, Track, and Divine Wines.